Favstar, a website that ranked Tweets by favorites and retweets, is shutting down next month. The founder blames recent Twitter changes and says "Favstar can’t continue to operate in this environment of uncertainty." In the early days of Twitter, one of the best ways to keep up with comedians or the so-called "weird Twitter" subculture was a website called Favstar. The site ranked your most popular tweets by their number of favourites — now called " likes" — and effectively created easy-to-skim rankings of the funniest and best tweets. Now the site is shutting down. In a note, founder Tim Haines said that Favstar's Pro accounts are no longer for sale and that the website will go offline on June 19, 2018. In the note, Haines blames changes to Twitter's developer APIs. Twitter announced last December that it planned to discontinue a few tools developers used to make third-party applications like Favstar. 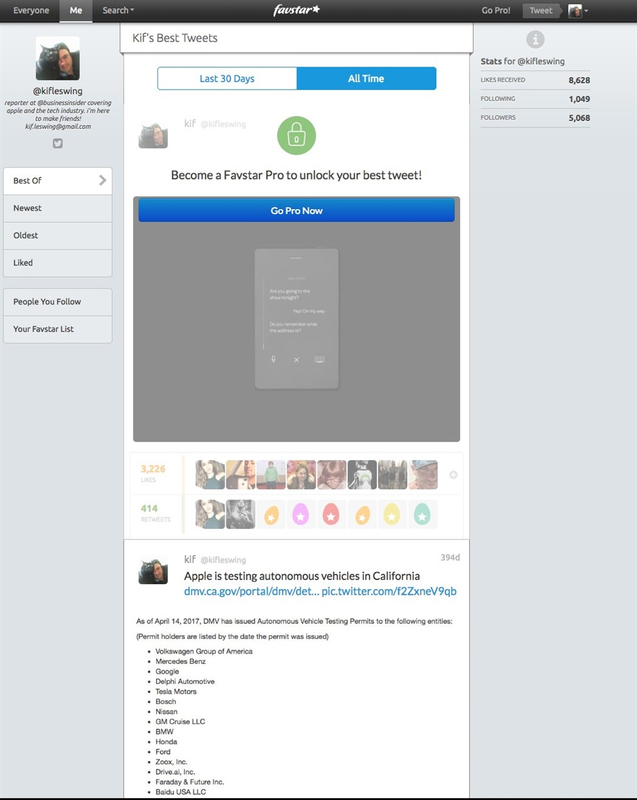 Haine said that losing those tools would make it impossible to continue to maintain Favstar. "Twitter wrote that they’ll be replacing this with another method of data access, but have not been forthcoming with the details or pricing," Haines wrote. "Favstar can’t continue to operate in this environment of uncertainty." 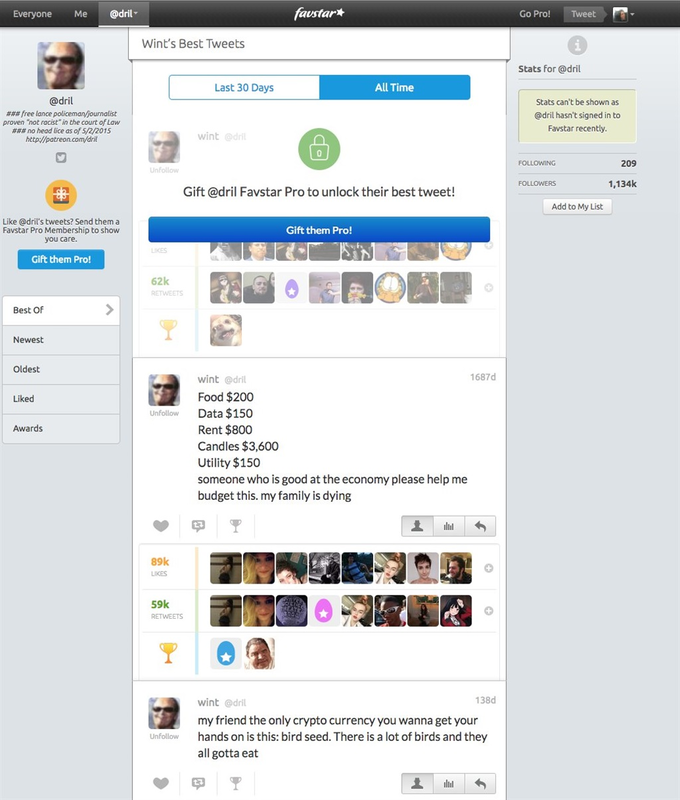 Although Favstar was never a richly funded startup, it was a key player in the Twitter ecosystem. 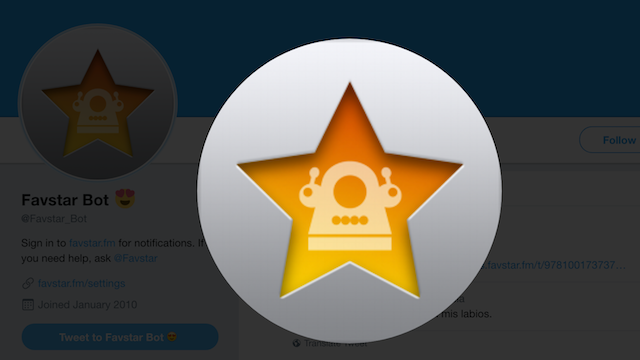 Apps such as Tweetbot integrated Favstar into their experience, and anyone who's been on Twitter long enough will recognise the automated tweets Favstar sent when you got over a certain number of favs or likes. But on the other hand, although Favstar once sported 50 million monthly visits, according to its goodbye note, it did become progressively less important as Twitter locked down its user experience and started surfacing the best tweets, instead of a strictly chronological timeline. Even its name refers to favourites and their star icon, which were phased out in favour of "likes" and a heart icon in 2015.